Natural catastrophes in Tanzania - Welttierschutzgesellschaft e.V. 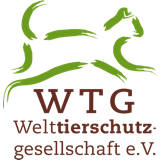 To protect millions of cattle, sheep, goats and donkeys from the life-threatening consequences of natural catastrophes long-term, the Welttierschutzgesellschaft (WTG) and its local partner organization Tanzania Animal Welfare Organization (TAWESO) carry out prevention work. 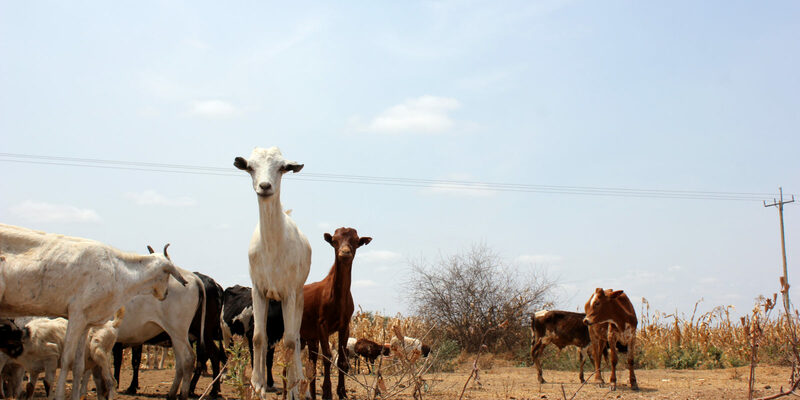 We aim to ensure a water supply for the animals in five regions of this east-African country, as well as inform animal owners to guarantee veterinary care and organize the necessary help in an emergency. Parts of Tanzania experience one extreme weather period after another. The year begins with a months-long drought, followed by heavy rains and then flooding. A few months later, the drought starts again – which due to global climate change increases in intensity each year. Our service focuses on severely affected regions along the coast, the south, the north-west, along with two regions inland, where more than 3 million livestock live. 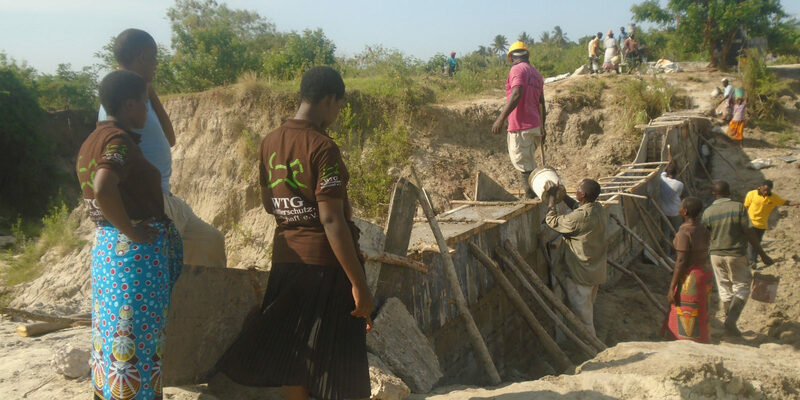 To provide water at all times, even during extreme drought, the experienced employees at our partner organization work together with local councils to build a sand dam in each of the five regions. This has already improved the life of communities in other parts of the country, and are intended to save various animals from dying of thirst. 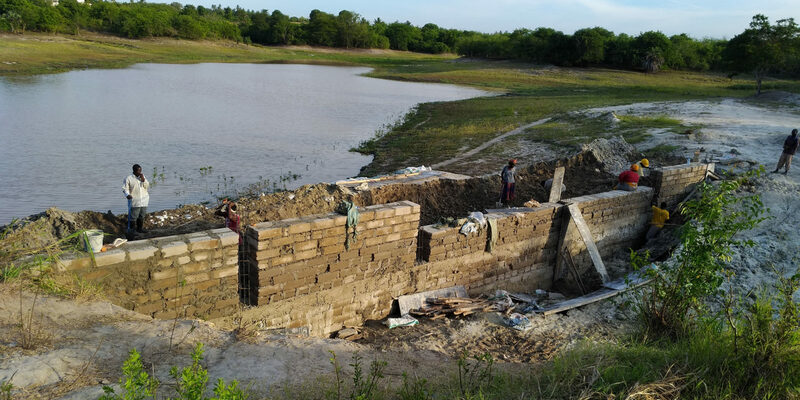 For this, a 2.5 to 4 meter high wall is being built in a suitable part of a seasonal riverbed, which normally only contains water when it’s raining. At the onset of the rainy season, water begins to run through the normally dry ditch and starts washing sand away. Both are stopped by the wall, which at first helps to build a small reservoir. With more rainfall, new sand washes up and thereby raises the water level. Some of the water seeps into the sand, and starts collecting between the fine sand granules, while excess water flows over the dam wall and, in so doing, reaches the communities living further down along the river. After some time, the basin in front of the wall will be completely filled with sand, resulting in a natural reservoir that consists of 60% sand and 40% water. During high heat, the cover of sand prevents the evaporation of the stored water. The surrounding groundwater level, which also rises because of this, facilitates diverse plant growth and thus a wide range of food supply for the animals. As an additional measure of water storage, ten already existing water holes have been repaired and water pumps and troughs installed. Our information activities focus on 162 villages in the five regions. To convey the necessary knowledge to improve animal care, monthly community meetings are arranged, personal conversations held with the animal owners, flyers displaying basic information and the contact information of TAWESO distributed, and interviews in local and nationwide media (radio and newspapers) held. Themes, such the basics on how to produce and store hay are raised, as the animal owners currently don’t possess the knowledge on how to conserve local grass – which during a catastrophe guarantees a life-saving source of food. The issue of steady growth of the herds is also approached. 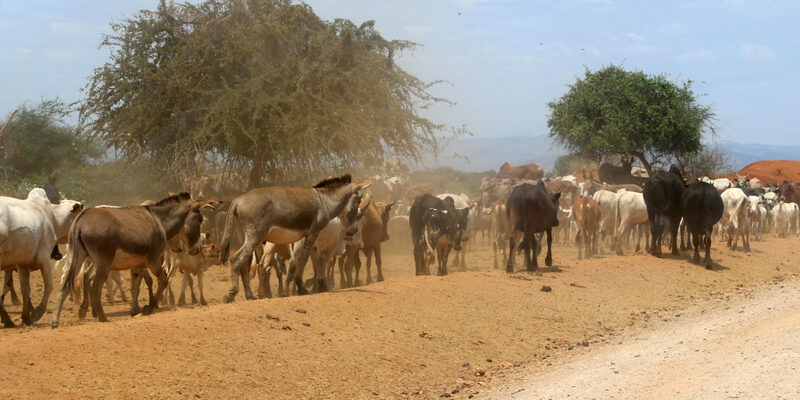 Due to a large number of animals being considered a sign of wealth for many Tanzanian farmers, big unsustainable herds of animals are sadly a normal occurrence. But not all of the animals can be taken care of properly and often die during natural catastrophes. Therefore, TAWESO appeals during meetings to reduce herd size long-term, in favor of well cared for, healthy animals that are more likely to survive extreme climates. Furthermore, people are educated on more robust livestock breeds, the importance of veterinary care and animal-friendly nutrition. 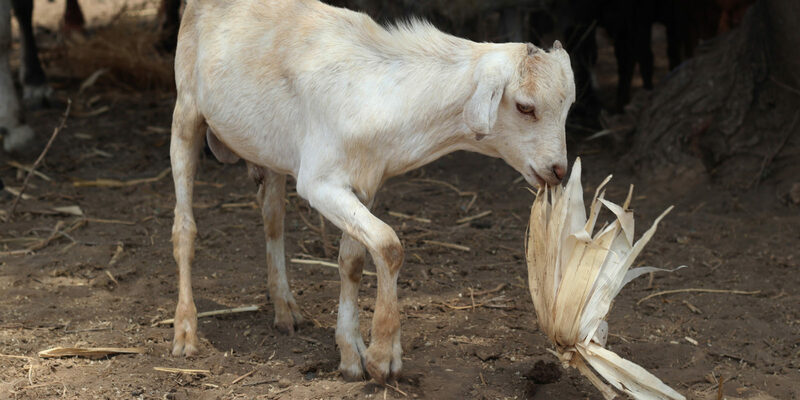 To establish a base for improved health and resilience of animals in case of a natural catastrophe, in all communities, veterinary inspections of the cattle, sheep, goats and donkeys are performed twice a month. 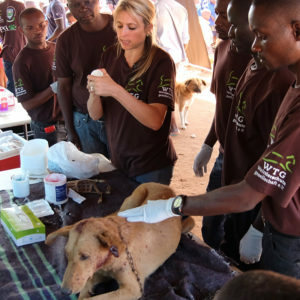 This is also an opportunity for the animals to get vaccinated, treated against parasites and get their wounds tended to. Not all of the preventative measures can achieve the intended affect until the next natural catastrophe. Therefore we will continue to provide food, water and minerals as well as veterinary care for the animals. To be able to respond as quickly as possible, the required materials are acquired beforehand and transported to the affected areas when needed. In addition, our partner supports the relocation of livestock herds when they, for example, have to endure flooded areas due heavy rainfall. For extensive and immediate information about aid measures/relief measure, TAWESO uses local and nationwide radio- and TV channels. To guarantee that all measures can be applied as planned, despite the large distances between the five parts of the country, each region has a corresponding TAWESO-employee as their point of contact. 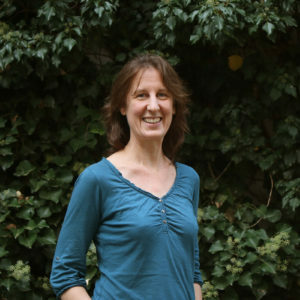 This person monitors the building- and re-building measures, coordinates help during an emergency and is in constant contact with the animal owners. A close and trusting cooperation with the local authorities is the basic prerequisite for the projects’ success. Together with the district leaders as well as those responsible for agriculture and livestock farming, the course of action is chronologically structured and a plan for the coordination of help during a catastrophe designed. Hereafter, construction progress, the production of hay, along with the progress regarding herd size are discussed in monthly meetings. Following the end of a period of extreme weather, the impact of the adopted measures is analyzed to make improvement or amendments, because that’s the only way to actually improve the life of all these animals long-term.